Mobile technology provides speed, reach and efficiencies that are unrivalled by more established routes to market, which has dramatically changed the business landscape of the entire continent. Digital innovation is accelerating across the African continent, driving transformation in almost every industry, including energy, agriculture, transport, banking and education. Transformation that has been largely enabled by mobile technology. 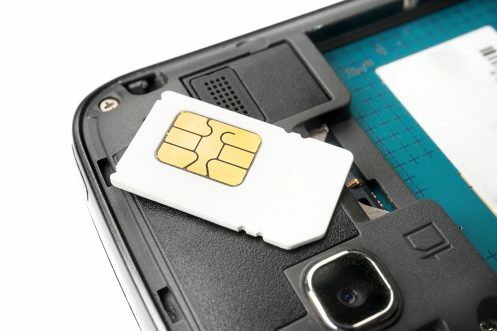 In 2017 almost half of the African continent was subscribed to mobile services, equivalent to nearly half a billion people, according to the GSMA. Given the mass growth mobile is seeing on the continent, reports have suggested that Africa could start to lead the way with mobile globally. Mobile has become a platform for innovation, a simple example of which is the impact mobile payment services such as Orange Money and M-Pesa have had. In m-payments, in particular, Africa is the global leader. Unlike Europe, or any of the developed world, mobile in Africa is not just mobile first, it is mobile only. In Europe stage one was the landline telephone, stage two the internet and three the mobile phone, in Africa, all three have come at once in a single device. Mobile technology provides speed, reach and efficiencies that are unrivalled by more established routes to market, without the costly infrastructure required for deployment of traditional information and communications technology (ICT) that has been used in the developed world for decades. The globally ubiquitous technology has, as a result, dramatically changed the business landscape of the entire continent. As the vast opportunity for enterprise flourishes, start-ups looking to pursue ambitious market expansion, alongside major corporates facing digital disruption, will turn to mobile technology to survive and thrive. 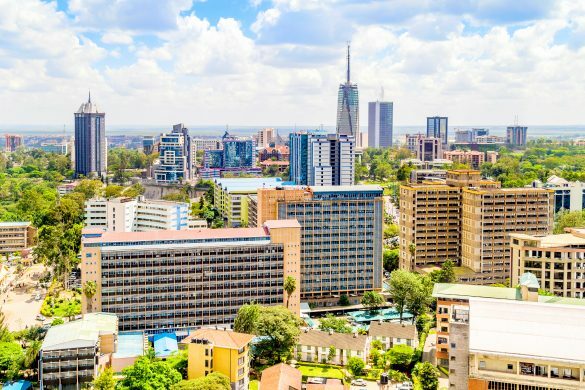 As trade grows, and business hubs such as Lagos, Johannesburg, Nairobi and Kampala continue to compete with longer established trading destinations in the Middle-East, Europe and Asia, mobile is set to play a critical role in driving further development and GDP growth across the continent. Mobile provides expansive possibilities to the enterprise helping increase the reach of products and services, providing a more personalised engagement channel between enterprises and their customers, as well as fuelling innovation for the development of new market offerings. However, mobile technology can also help affect business transformation by impacting the operation and how business is run, introducing efficiencies, improved productivity and cost saving benefits. In Africa mobile has already had a significant impact on the enterprise, affecting the way certain segments of the workforce do their jobs. Primarily, mobile has helped improve communications and sharing of information and has become a key tool for keeping employees productive when they are on the move or working in-field. However, for many enterprises across the continent, the adoption of mobile as a key business productivity tool is confined to the ranks of top executives or office-based workers. The real potential for business transformation however, lies in mobilising the field-based workforce where mobile technology can be used as a tool to increase efficiencies or aid productivity. Enterprises should be looking at all field-based workers to uncover where mobile technology could have an impact. Mobile could help empower workers in the retail or FMCG (fast moving consumer goods) supply chain in remote or rural areas, for example, through opening up communication channels and providing information from the field to enable suppliers to make real-time decisions. Mobile internet connectivity is key in enabling the transfer of this information in real-time, so for some of the rural-based workforce, organisations will have to look at a spectrum of technologies in order to facilitate the transfer of information in places with poor connectivity – this is where technology like SMS and USSD (unstructured supplementary service data) has an important role to play. However, mobile’s value is not just limited to its use as a communication tool. Take any paper-based process, for example, like a service engineer completing a maintenance audit – with mobile they can access key information without having to access manual books and send completed audit information back to head office; saving time searching for information on site and negating the need to upload audit information onto the system via a computer at the end of the day. The time saved could mean each maintenance engineer completing another audit during their working day. The impact on productivity, over a workforce of hundreds of engineers, becomes very significant. Mobile technology can be effectively used to help support and transform any process or occupation, across every sector in Africa’s economy. The more mobile a worker, the larger the potential for mobile to help enable transformation. Mobile technology can also be leveraged to help with upward mobilisation of skilled labourers across the workforce. Much of the African workforce has never had access to computers, because of the costs of technology, issues with running technology (e.g. access to reliable electricity source), lack of networks, under-developed skills; but this is all set to change. Many of these workers, where appropriate, can use mobile phones to enable access to information and open up communication channels for the first time and in so doing, open up bigger opportunities for personal progression. To truly drive change and development in Africa we need mobile access and ubiquity to be guaranteed. It is a challenge in a continent the same size as Europe, USA, China, India and Japan all combined. However, applied correctly, with the right technology tools and features, mobile use can continue to grow across Africa, and truly drive change and GDP growth throughout the continent. Read more about the potential for mobile to help transform Africa’s workforce in Myriad Connect’s Workforce Mobility in Africa white paper.